MEDINIPUR: In a landmark judgement, the special court of Midnapore absolved all 12 accused in the Chhoto Angaria criminal case lodged by the CBI. Mr Justice Shyamal Sengupta the West Midnapore fifth additional district session’s judge said in his judgement that no evidence could be furnished by the CBI against the accused and thus they were all of them absolved of all charges and acquitted. The CBI had charged the CPI (M) workers including two district committee members Tapan Ghosh and Sukur Ali, of murder, kidnapping with intention to murder, criminal conspiracy, arson, unlawful assembly with deadly weapons and illegal possession of arms. None could be proved with any evidence. Biman Basu, state secretary of Bengal CPI (M) has expressed his satisfaction that justice delayed was not always justice denied, as the present case had amply proved with the trumped up accusations summarily dismissed in the court of law. The case harks back, we recall, to the fiery days and weeks of the early part of 2001 when the Trinamul Congress with the help of the then People’s War Group or PWG (who subsequently merged with other Naxalite factions to become the CPI-Maoist) were deep into a storm of violence in the Keshpur-Garbeta region of Midnapore to sweep out the CPI (M) from the rural countryside. 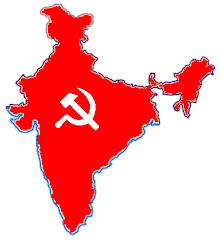 109 CPI (M) workers were killed in the run up to the 2001 Assembly polls in this district alone. On 4 January of 2001, dozen-odd Trinamuli-Maoist criminals had assembled at one Bakhtar Mondal’s house at the Chhoto Angaria village of Garbeta. Their purpose was making bombs as well as crude improvised explosive devices (IEDs) as later events proved. Deep into the night, the entire village was shaken into awakening by the ear-splittingly loud bang of a huge explosion as something went very wrong at the Mondal household and the entire stockpile of explosive material burst into one massive blast. The house itself disappeared into tiny pieces of rubble over a very large area. No bodies were to be found by the hordes of forensic experts who descended on the scene quickly enough, and the CBI drew up a list of important CPI (M) functionaries and inter alia held them accused of having caused the explosion. The arrests were made with equal alacrity and those arrested were sent in on long terms of either police or jail custody. CPI (M) Midnapore west secretary professor Dipak sarkar expressed his happiness at the acquittal of the Chhoto Angaria accused, and the released comrades were brought out of the court house in a large procession and were garlanded. We recall in this connection that the CPI (M) has done very well in the parliamentary polls in the district, as in the rest of the laterite zone. In the Garbeta segment of the Jhargram (ST) seat, the CPI (M) has won 81% of the valid votes increasing its lead by 23, 000 votes from that achieved in the 2006 Assembly polls.